Every university receives a completely customized website with a unique web address (such as http://edu.snoozester.com/yourschool) and the university’s logo on every page. Each student at a participating university receives their own account. 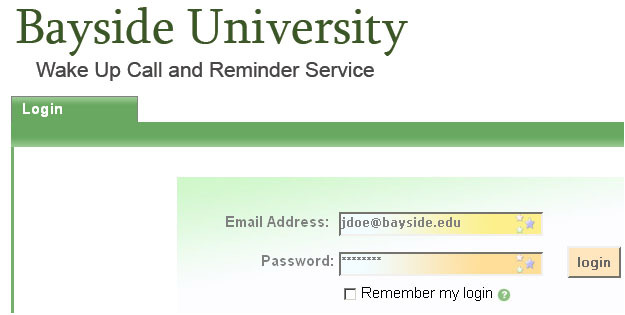 Students access the service by logging in with their email address and a password.